Google’s next generation of Nexus, the hardware it uses as the premium example of how great just plain old Android can be, is now out in the smartphone wild—but it enters that world filled with some stiff competition. In many ways, the LG Nexus 5X and Huawei Nexus 6P feels like a return to sanity. This isn’t some massive 6-inch smartphone nor does even the more expensive 6P cost close to its predecessor, the Nexus 6. In comparison, Google’s kind of ripping a page out of the Samsung playbook by offering the bigger 5.7-inch 6P and the smaller (comparatively) 5.2-inch 5X, much like the Galaxy Note 5 and S6 sizes. But looking at the specs side-by-side, it appears that Google’s not so concerned with competing on hardware — or even engaging in a pricing war with other Android phones. It feels built to entice with software and other services that other phone makers can hope to match, like the promise of super quick Android updates and, of course, Project Fi. Here a breakdown of the 5X and 6P specs, compared to its staunchest competition. Click top left corner to enlarge! The 5X is by all means a spiritual successor to the Nexus 5, arguably Google’s most popular smartphone ever made. It’s made by LG Electronics, which also made the Nexus 5, and it’s the budget-conscious champion of the two. But this isn’t 2013, and the 5X price isn’t the lowest out there. That distinction belongs to the OnePlus 2 (for flagships, at least). The 5X also seems to make spec sacrifices in two specific areas to reach that low price—the battery and price, which is some of the lowest mAh and PPI out there. But it is still cheap, even lower than the Moto X Pure Edition, which was also surprisingly inexpensive. As for the 6P, its clearly meant to entice those who don’t mind spending money for the very best. It has top specifications all across the board: the best Snapdragon processor, a quad HD display, all metal, no stupid 16GB starting option, and USB-Type C. Basically, all the good stuff and at only $130 more that the 16GB base model 5X. That seems like a relatively smart investment considering the moderate spec bump. The only real bummer with these two smartphones is no expandable storage (a feature now relegated to the past it seems), optical image stabilization, or wireless charging, though USB-Type C fast charging probably outperforms wireless charging at least where speed is concerned. 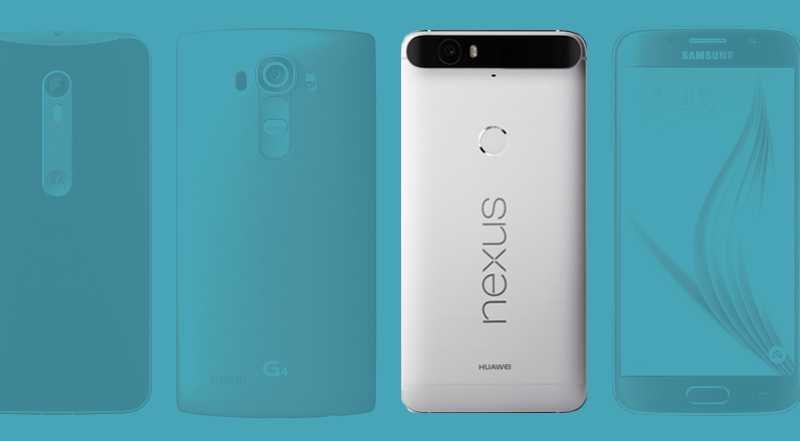 But the 5X and the 6P deliver what many people have been wanting from Nexus devices—choice. Go small. Go big. Go cheap. Go pricey. Google doesn’t really care, as long as you go Android.